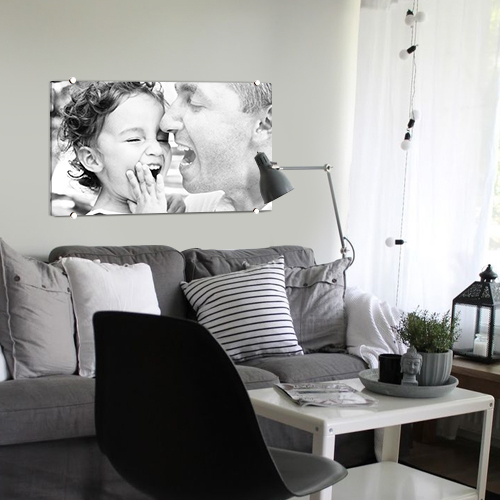 Preserve business milestones and heart-warming moments with Helloprint's Acrylic Prints! 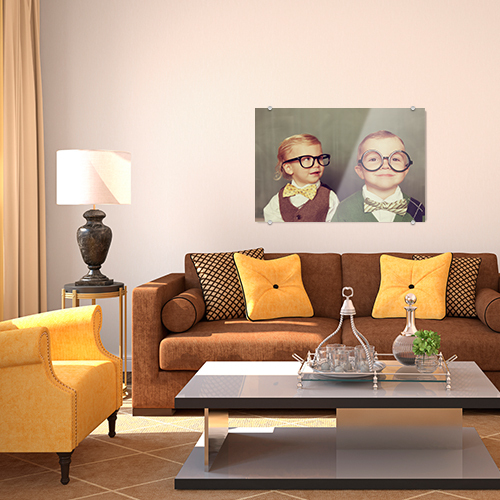 Order photos in different sizes and print them on stunning acrylic material (also known as plexiglass). This is the way to go to create a professional impression in your workspace with these waterproof, sunproof prints that are sure to dazzle with their striking colours! Looking for a thoughtful gift for a colleague or customer? Not to worry, at Helloprint we check your artwork for free to make sure you get the ideal gift! Comes standard with 4 side grip stainless steel suspension system. 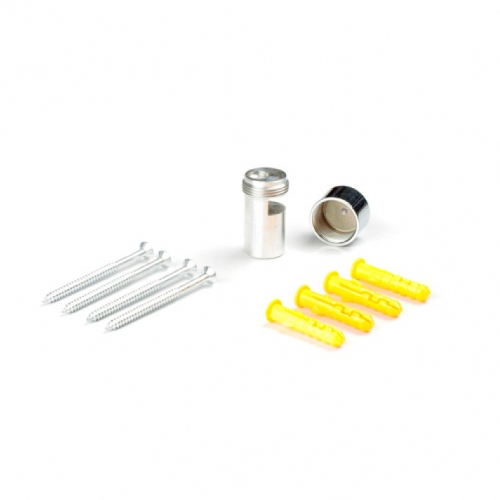 These are easy to assemble by screwing in the wall, place the plexiglass against it and screw the stainless steel caps on it. 2 How many do you want? Other quantity needed? Send us an email. The product is printed on the backside. The file must be delivered in mirror image. Photo on plexiglass, the words say it all. A photo of your own choice printed on sturdy plexiglass. This product is very popular as a decoration and even for marketing pruposes. For the delivery of your acrylic prints we use multiple carriers. Because of the highest reliability, in most cases we use UPS or DPD. The acrylic prints that is chosen in most cases can be selected via our website. Can Acrylic Prints be used outside? "Photos on Plexiglas" can be used indoors. The lifespan of the "Photos on Plexiglas" is affected by outdoor usage. How is photo on plexiglass finished? The plexiglass will be finished with a white coating that ensures that the colours of the photo will come in to its' own. Will there be a suspension kit provided with my photo on plexiglass? 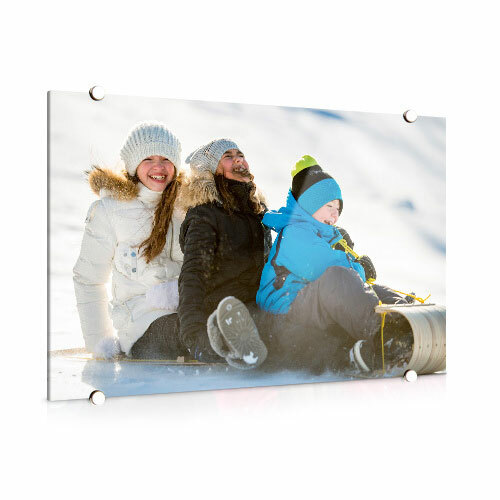 Photo on plexiglass is supplied with a stainless steel supsension set to make sure that your photo on plexiglass will come into its' own when hung. These are clamps that will press the plexiglass against the wall.